The Baltimore International Black Film Festival (BIBFF) promotes and celebrates culturally significant shorts and feature films directed, produced, and staring African Americans and members of the African Diaspora. We also prominently feature and celebrate films with content of interest to the Same Gender Loving – Lesbian Gay Bisexual and Transgender (SGL-LGBT) community. 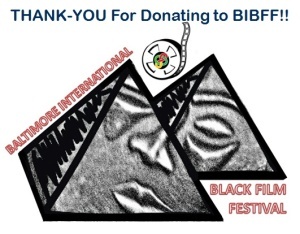 Our mission is to couple the film festival with education, health and exhibition programs that enrich the life of Baltimore City and the greater Washington D.C., Maryland and Virginia community. SOGAA Inc. is a federal tax exempt 501(c)(3) non-profit organization.